It has been a very tiring week (sigh) with lots of unexpected things to happen at a sudden. I can feel the fatigue in my body. I wish I were in the comfort zone like some of the students here (I wonder why they don’t even care of the upcoming test. They all just playing games till night and then continue playing it again in the afternoon (they wakes up at afternoon). I would just do that at home-playing games all day long. I remember once, last 2 years, my teacher said that “You will have an easy life on University level unlike in high school. So, just try your best in SPM. After that, you will not ‘suffer’” she said. Hurm, now I know that it is not as what she had claimed long before.LOL. It has just to be difficult to have a life, right. A life without struggle is useless eh? In my last session with my naqib, he asked a few question. All the answers are all in the Quran. Assalamualaikum…it has been a long time already eh??LOL. 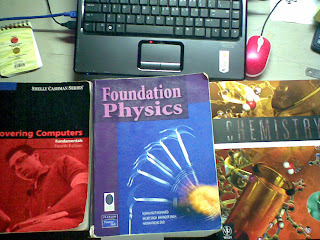 Hurm, where should I start from? Well, after a week of busyness, I manage to put my fingers on this laptop and write this post. Lots of things had happened last 2weeks. First, my group had presented our drama and it was two thumbs up from our tutor and we are qualified to enter drama competition, if there is any. After that, we were so busy preparing our literary analysis that we were so disappointed to know we would present it next week (I slept at 3 just to finish the slidesT.T). Hey..I have received certificate of academic achievement from UTP rector’s himself and it was a really great day. There are 9 people who managed to score 4 flat and three of them are from Petroleum Engineering.LOL. Even though I didn’t manage to get it, but I was “proud” of my friend’s achievement (my course).LOL. Currently, I join ‘Sehari Bersama’ program held by Rakan Muda as a facilitator to help school student in their examination. I am appointed to Sekolah Menengah Teknik Seri Iskandar pupils. Phew, lots of things I heard from my friend. For example, ‘Selalunya budak2 teknik ni susah sikit nak jaga sebab diorang ni banyak sikit masalah disiplin’. Yea I know it but it is the greatest challenge that I have to face (chaiyo2). At the end, I will be judged whether I managed to change them or not. Hu3. Oh yea, I have just received a message saying that I have been selected to join Tekad program, another program that involve school pupils. This one is quite different from Rakan Muda program because it will be only conducted once unlike ‘Sehari Bersama’ where the program is continuous. Another thing is, I am not only be there as a facilitator but as the comitee. Yeah!! Hurm,Last night, I went to another interview for incoming Convofair. I was having a telephone conversation with my mum on the way there. To my surprise there were only a few attended that interview. ( I mean, it is the biggest event in UTP and how come there were only a few people there). I applied for Marketing and Merchandise Department because I want to know how far I’m good in doing business.HU3. So you see, there is a problem here. There are so many activities that I join now that make me wonder whether I could handle it or not. It’s not that I’m into all things, but I just wanna keep my life in UTP a lil bit different. 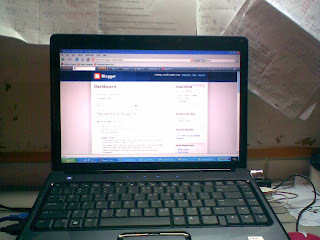 Well, compare to last SEM, I was still adjusting my life in here but now I have started to get more than just studying. You see next two weeks I’m goanna to have my second test and I really really hope that I can manage my time systematically. This busyness makes me wanna write this post to share with you guys. There is another one, I didn’t write for quite a long time and I wonder did I improve or getting worsens. You tell me okay? ?